The number of electors each state gets in the Electoral College is equal to its representation in Congress — so two senators plus the amount of the state's representatives in the House. The number of representatives a state is allotted in the House is calculated in proportion to it's population. In accordance to these guidelines, Colorado will have nine electors until the year 2020. Depending on who the majority of Coloradans vote for, the nine electors will be assigned on a winner-takes-all basis to either Hillary Clinton or Donald Trump; Colorado is one of the states that binds electors to vote for the candidate chosen by their state's majority pick. At the moment, the names of Colorado's nominated electors are unknown, and they will likely not be released to the public until after the public votes on Election Day and it will be known which group of electors, either Clinton's or Trump's nominees, will go on to cast their votes on Dec. 19. Since electors are almost always nominated for their proven support of the political party they are selected by, as well as their demonstrated loyalty to their party's presidential candidate, it's guaranteed that Colorado's final group of electors will be state legislators or activists well-known in the political sphere. Despite Colorado's long history of voting Republican, the fact that it has voted Democrat a few times, including for Obama in both 2008 and 2012, places the state in the "swing state" category. And it looks like it might continue its blue streak with this election. 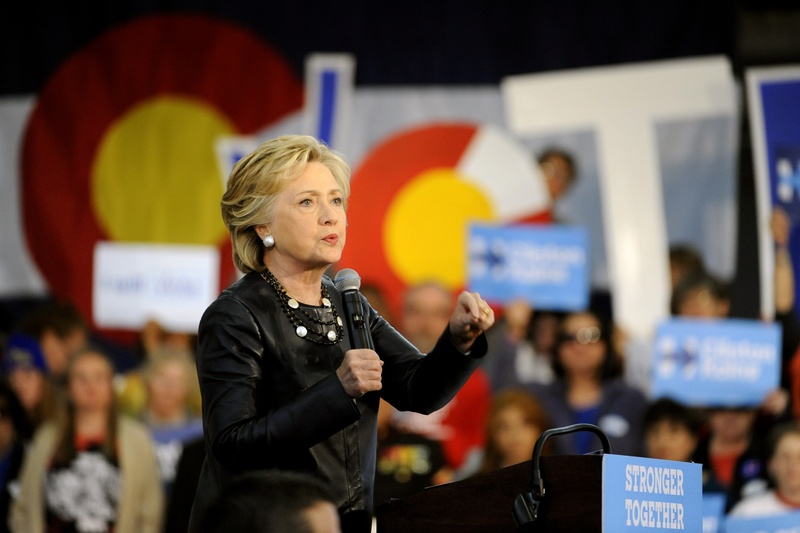 By the end of October, almost 900,000 people had already voted in Colorado, and early polls suggested that Clinton was outperforming her opponent in the region. According to the number of ballots received, 39 percent were submitted by registered Democrats, versus 35 percent sent by Republicans. Also on Clinton's side are opinion polls: She is ahead of Donald Trump in RealClearPolitics' average, and is given a high chance of winning the state by FiveThirtyEight's election forecast model. The New York Times also put Clinton's chances of a Colorado victory as greater than Trump's. If you're living in Colorado and unsure of where you should head to cast your vote on Election Day, you can search for your closest polling place through this website. If you'd like to be extra prepared for what you can expect to find on your ballot, head to Ballotpedia to see who all the other candidates you'll be asked to vote for are, as well as any initiatives you'll be asked to take a stance on. Happy voting!